This article is about the mine. For the village, see Crestshade. 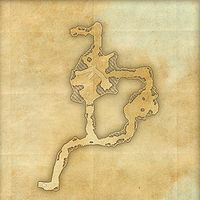 This mine is responsible for much of Crestshade's prosperity, but work was suspended when trouble came to the nearby village. 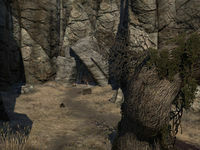 Crestshade Mine is a mine in central Rivenspire, northwest of Shornhelm containing trolls. The mine was responsible for most of Crestshade's prosperity, but was closed down when trouble came to the village. It has since been overrun by trolls.